PGA Catalunya Resort has been named as Best Golf Development Europe at the International Property Awards held at the Grosvenor House Hotel, London on 7th December 2015. For the second year, PGA Catalunya Resort competed against Europe’s most accomplished developments to receive this recognition. In addition to the accolade, PGA Catalunya Resort was also awarded Best Golf Course Spain and Best Architecture Single Residence Spain. In 2013/2014, in addition to winning the title of Best Golf Development Europe at the International Property Awards, PGA Catalunya Resort was voted Spain’s Best Golf Course at the World Golf Awards 2014 and for the fourth year running by Top100GolfCourses.co.uk. The courses’ design attracts major international events with the optimum golf combination of PGA Catalunya Resort’s critically-acclaimed Stadium Course and its Tour Course. The judging panel consisted of over 70 experts from all over the world including Andrew Panting, Director of Operations for the British Property Federation, Peter Bolton King, Global Residential Director of the Royal Institute of Chartered Surveyors (RICS) and chaired by two active members of the House of Lords: Lord Caithness and Lord Best. The high-calibre panel of industry experts identified PGA Catalunya Resort as the European Winner for the Golf Development category and cited it as the best example of a golf and real estate development in Europe due to its exceptional facilities, stunning design, continued investment in its innovative infrastructure, and superb location. 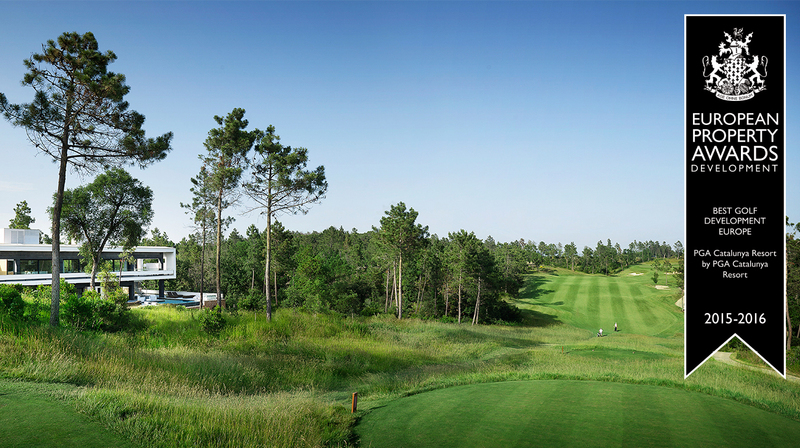 With the commitment, dedication and vision of its founders since establishment in 1999, PGA Catalunya Resort has evolved into a leading global resort development. Complementing its two world-class golf courses the 300-hectare estate of forested woodland at PGA Catalunya Resort has matured into one of the most sought after contemporary villa developments, combining striking design, open-plan layouts and an innovative use of glass that brings the outside in without compromising on privacy. Championing both award winning and up-and-coming national and international architects with a cutting edge design concept that makes the most of the resort’s surroundings, the spacious Villas, Semi-Detached Villas, and Apartments epitomise contemporary living and luxury lifestyle. Expansive villa plots are also available for purchase. Designed to provide owners with an authentic Mediterranean lifestyle, PGA Catalunya Resort is set in the heart of the beautiful Costa Brava, just 50 minutes from Barcelona and 15 minutes from Girona, the epicenter for Michelin star restaurants including the renowned El Celler de Can Roca. In addition to the lifestyle the resort can offer, there are world-class facilities – Golf Clubhouse, members lounge, restaurant, Residents Club exclusively for owners complete with indoor and outdoor swimming pool & children’s pool, indoor spa pool, tennis courts, fitness centre and treatment rooms. Combined with the abilities of the Property Services Department and a successful rentals programme, the resort offers a sound investment opportunity and full peace of mind to potential buyers.